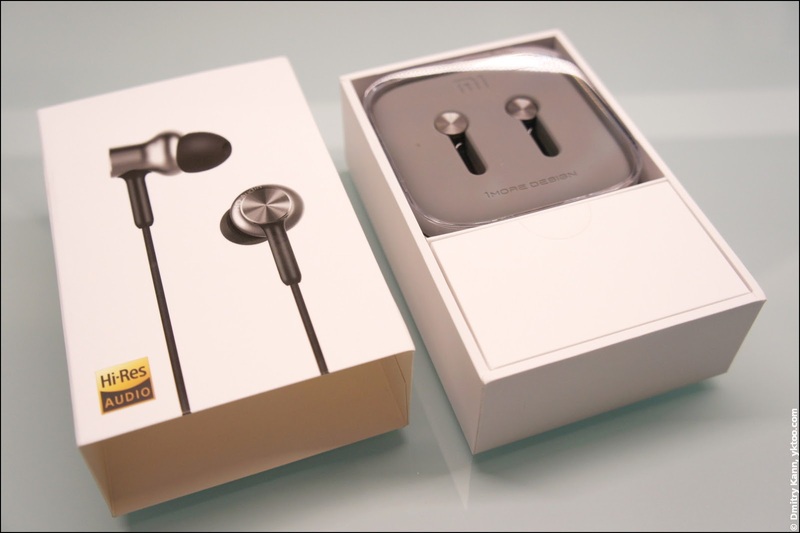 Mi In-Ear Headphones Pro HD. I ordered the headphones on eBay after a few pretty positive reviews I've heard. The specs looked quite attractive considering the price of only €21 (shipping to the Netherlands included). 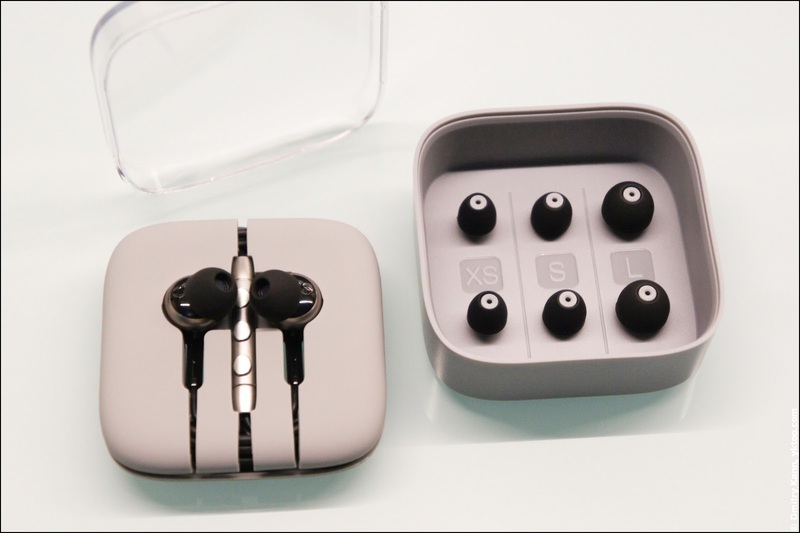 What's so special about these earphones? Quite a bit according to the item description. 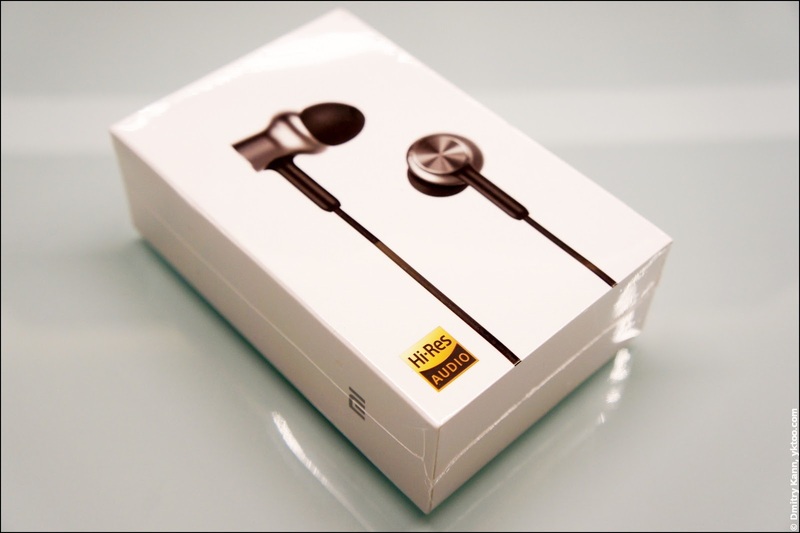 The company advertises Headphones Pro HD as a premium product, and that is reflected in its specs, materials used, and particularly packaging. One balanced armature driver — for high tones. 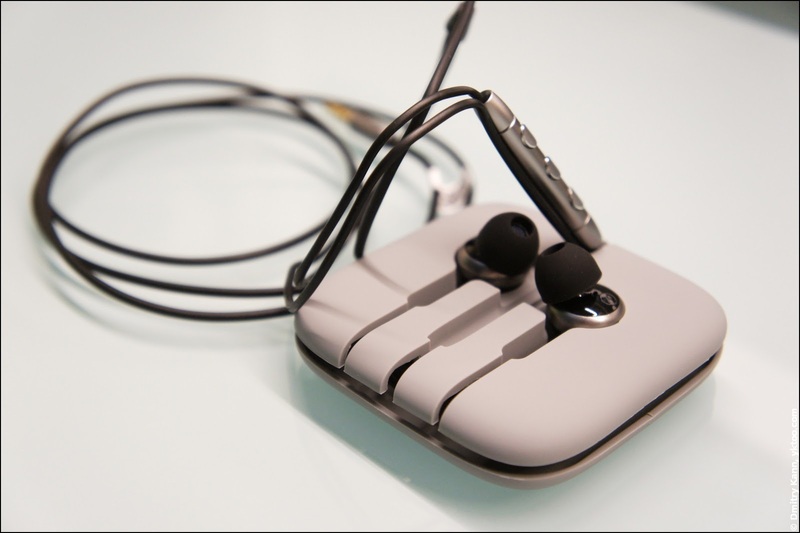 This effectively turns the earpiece into a three-band speaker, where each of the three frequency ranges (lows, middles and highs) is handled by a separate driver. The inside of the earphone. All the external elements, i.e. 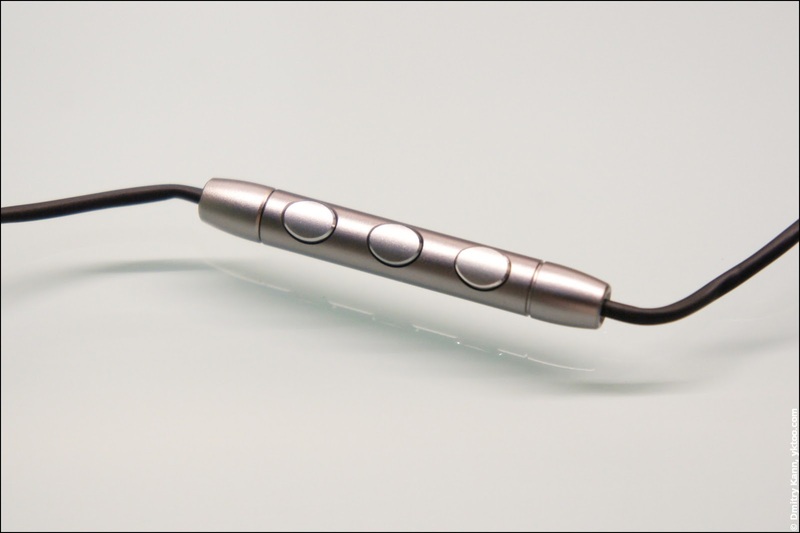 the earpieces, the remote control and the jack, are made of metal, anodised aluminium alloy. This looks and feels great. Black inserts are made of durable zircon sand blasting. What's also noteworthy is that the cable is made of TPE elastomer: it's slippery, which facilitates disentangling, and stretchable, which should in theory make it more robust. The company also mentions the radial pattern with 0.14 mm pitch that "imitates CD pattern", but I can't really appreciate the importance of this. Note the insanely high upper boundary of the frequency range of 40 kHz. This, however, doesn't mean much because you can only speak of frequency range in the context of the allowed tolerance. It's common to use a tolerance of ±3 dB (because a volume change of this magnitude is hardly audible), however since it is unspecified, it may be anything, like 6 dB or 12 dB. 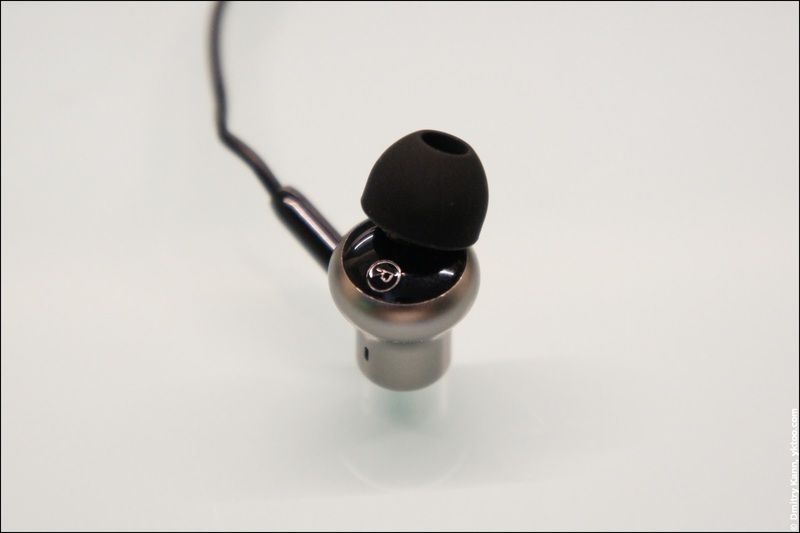 The headphones also have a somewhat low sensitivity of 98 dB, which may pose a problem should your phone's audio output be not powerful enough. The device is shipped in a sturdy cardboard box sealed in plastic. What's inside: a sturdy plastic box and a paper one with a carrying bag inside. The plastic box and its contents. It takes quite a bit of patience to unwind the cable carefully laid out along the grooves of the holder. But winding it back into the holder would obviously take an incredible amount of patience. Moreover, the designer's idea was that the box is to be kept in the carrying bag, judging by the size of the latter. That leaves me with just one question: is there a human being in this world who would actually store the headphones on the holder by winding the cable around it and inserting the earpieces, the remote, and the jack into the appropriate sockets, then putting the holder into the box, and the box into the bag, and then retracing these steps every time he/she wants to listen to music? Play/pause toggle, next track (double click), previous track (triple click). There's also a microphone on the opposite side of the control. 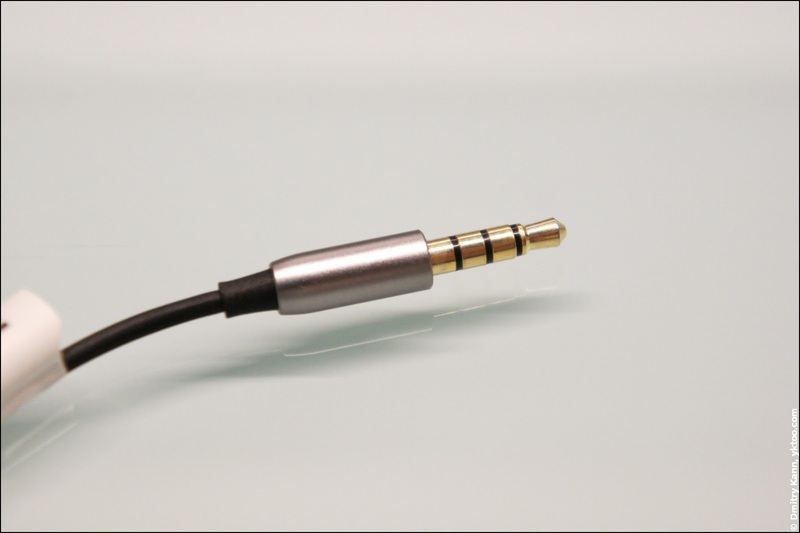 The wire ends with a 3.5-mm jack. It isn't angled, which I think is for the better as it reduces the risk of breaking it off. The most important is of course the sound the headphones produce. In my audiophile career I've listened to lots of headphone devices in a broad price range. 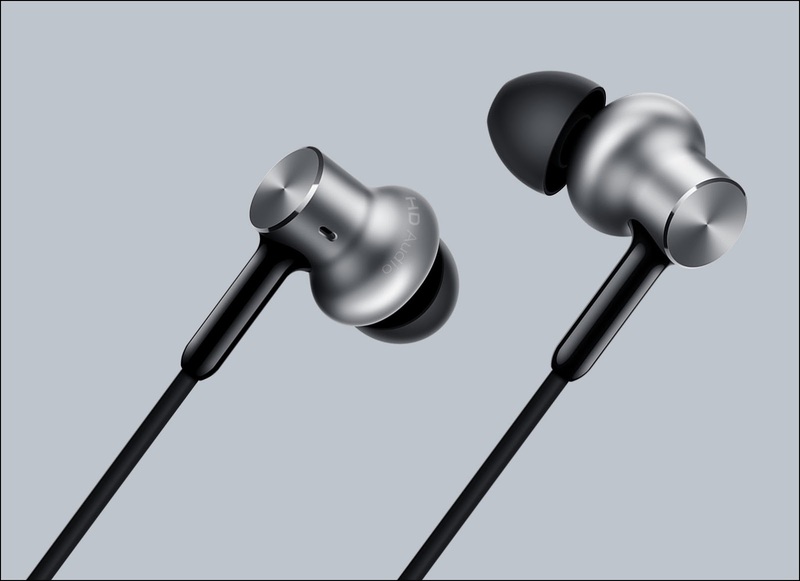 The sound of Mi In-Ear Headphones Pro HD is peculiar. On the one hand, the high tones are brilliant and well detailed, I'd say these are ones of the best headphones I've ever listened to in that respect. It makes cymbals, for instance, sound perfectly clear. On the other hand, I'm used to the powerful bass of my good old Koss Porta Pro, and the Mi device doesn't really shine here. That said, the lack of bass can be somewhat mitigated by equalisation. The good news is that treble still sounds very clear when you pump up the bass. Once again I'd mention their not-so-great sensitivity (especially compared to the mindblowing Koss Porta Pro), which is the price of having a three-band passive crossover. With these headphones I have to turn the volume of my Galaxy Note all the way up to the "safety limit." But there's an upside to it, too: the low sensitivity makes volume steps smaller, which allows for a smoother volume setting. 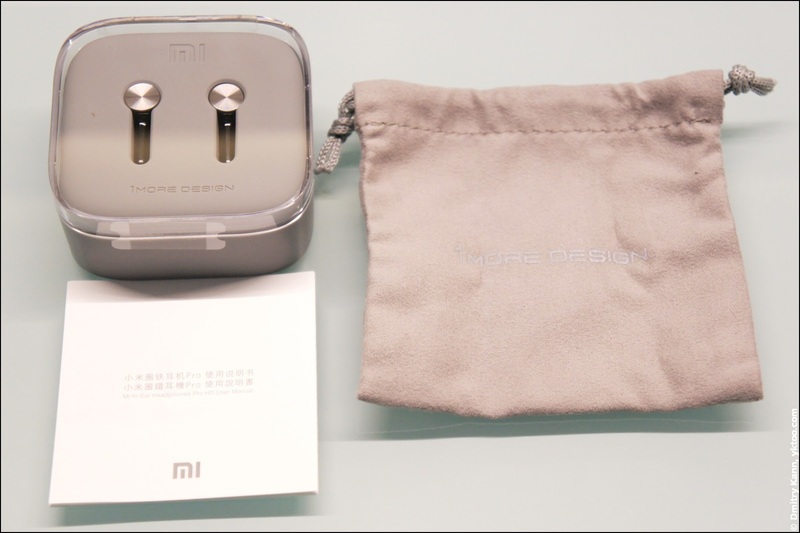 I also use my Mi In-Ear Headphones Pro HD as a hands-free, and the mike is reportedly doing its job well. The bottom line is: I'm sure I haven't seen anything matching this model's characteristics at this price. Well done Xiaomi! I'm now using the headphones on a daily basis.